This past June, Eagle Rock Entertainment continued its “From The Vault” series with the first of two more archived Rolling Stones concerts with it released From The Vault: The Marquee Club Live in 1971. The classic recording is yet another impressive release in the ongoing series of concert recordings. And there are a number of reasons that this recent release proves itself such an impressive new archived recording not the least of which being its multiple formats. It is available on a number of platforms including: DVD, SD Blu-ray, DVD + CD combo pack, SD Blu-ray + CD combo pack, and even DVD + LP combo pack. Having so many options in terms of its platforms, audiences will all be on the same level regardless of which option they choose. The set list chosen for this recording is just as important to its success as its availability on multiple platforms. And last but hardly least worth mentioning is the recording’s companion booklet. Richard Havers’ liner notes and the additional notes included in the booklet add an additional insight into the recording that makes for even more enjoyment for audiences. All three elements taken together make From The Vault: The Marquee Club Live in 1971 yet another impressive addition to Eagle Rock’s Rolling Stones “From The Vault” series. They also make it one more of this year’s top new live Blu-rays, DVDs, and CDs. Eagle Rock Entertainment’s new addition to its Rolling Stones “From The Vault” series is yet another impressive addition to that series. It is also one of the year’s best new live Blu-rays, DVDs, and CDs. That it fits into not one or two but three categories is the central reason that it is such an impressive release. Eagle Rock has paid tribute both to the band and its legions of fans around the world in having made it available in so many platforms. Those platforms include: DVD, SD Blu-ray, DVD + CD combo pack, SD Blu-ray + CD combo pack, and even DVD + LP combo pack. What this means is that fans will all be largely on the same level regardless of which platform they choose to take in the concert. That is because each platform presents the concert in exactly the same order with all of the same songs. Nothing has been added or removed from any of the concert’s varied presentations. It is hardly the first time that Eagle Rock has done this for fans. And it more than likely won’t be the last. The DVD and SD Blu-ray platforms both feature video that when played back in any standard Blu-ray player will look the same. That is because the SD Blu-ray footage has already been upscaled. Any DVD played back on a Blu-ray player will be upscaled when played back on said device. The audio is the same on both presentations, too as is the set list, which is the next reason that that this recording proves to be yet another impressive addition to Eagle Rock’s “From The Vault” series of releases. The various platforms in which The Rolling Stones’ latest “From The Vault” recording are collectively one very important aspect of its success and enjoyment. They put the band’s legions of fans around the world largely on the same level regardless of which platform they choose to purchase. It is just one aspect of the set that fans and audiences alike will appreciate. 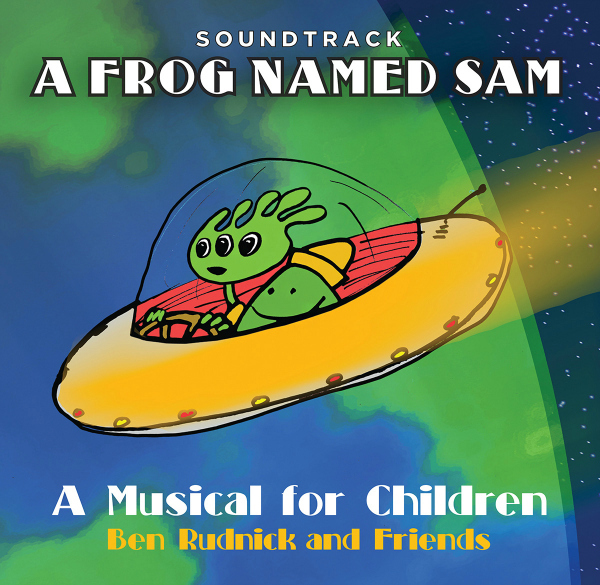 The show’s set list is another reason the audiences will appreciate and enjoy this recording. The primary set list only totals eight songs. That totals a little more than thirty-six minutes. However, thanks to the people at Eagle Rock Entertainment, they are complemented with two extra pairs of bonus tracks, one being a pair of alternate takes of ‘I Got The Blues’ and the other a pair of alternate takes of ‘B****.’ That is a total of four additional songs, which push the show’s total run time to fifty-four minutes. It is fifty-four minutes that audiences won’t even realize has passed by the time the whole thing ends. It includes songs that were at the time the band’s older material–including the Stones standard (I Can’t Get No) Satisfaction’–and more recent material such as ‘Let It Rock’ from the then most recent Stones’ 1969 record Let It Bleed. It also includes four songs from what was then the band’s next album Sticky Fingers in the form of ‘Brown Sugar,’ ‘Dead Flowers, ‘I Got The Blues,’ and ‘B****.’ Of those four songs, only three were originally planned for the set presented here. The fourth, ‘I Got The Blues’ was a last-minute addition. As audiences will learn in reading through the show’s booklet, it was added to the show’s set list that night. In hearing it in all three of its takes, fans will agree that it was a good thing that it was added to the show. That is because it stands out so starkly from the rest of the set’s songs stylistically speaking. As Havers notes in the recording’s liner notes, it is reminiscent of Otis Redding. As audiences will note, it really forces Jagger to push himself in regards to his vocal range. It is definitely an interesting change of pace for the band both in terms of this concert and in terms of the band’s overall body of work at the time. It is just one more way in which this recording’s set list shows itself to be so important to the whole of the recording. It is not the last way in which the recording shows itself to be so impressive either. As previously noted, the companion booklet that comes with the recording in each of its platforms includes in-depth liner notes by Richard Havers as well as other intriguing notes. 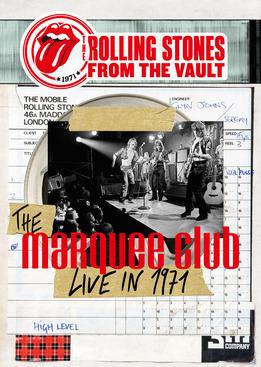 That combination of notes plays directly into the set list and the recording in whole, proving once and for all why From The Vault: The Marquee Club Live in 1971 is one more must have for any Rolling Stones fan and fanatic and why it is one of the best of this year’s new live recordings overall. The availability of The Rolling Stones’ new recording on a variety of platforms does plenty to make it another impressive addition to Eagle Rock Entertainment’s ongoing series of archived Rolling Stones concert recordings. The set list that makes up the body of the concert is just as important to its success and enjoyment. That is because it features a group of songs that at the time exhibited a rather large swath of the band’s catalogue including one song that almost didn’t make it into the concert. While both elements prove to be equally important to the overall success and enjoyment of this new Rolling Stones recording, there is still one more element to examine in its presentation. That final element is the concert’s companion booklet. Writer Richard Havers includes some in-depth liner notes in the booklet, which are themselves complemented by some equally in-depth additional smaller notes. Havers’ notes include a mention of ‘I Got The Blues’ almost not making the concert’s set list and of the band’s decision to include a cover of Chuck Berry’s ‘Let It Rock.’ The latter was added because, again as Havers notes, the band had quite the affinity for the famed guitarist’s body of work. It is well-documented that much of The Rolling Stones’ music was influenced by the blues. But this additional note regarding the band’s respect for Berry’s style of rock and roll is an interesting tidbit for fans who perhaps might not have known about it. In the same breath, Havers also makes mention of the band’s first performance of ‘Midnight Rambler’ at Hyde Park in 1969. Ironically enough, Eagle Rock just released that recording last month. Or rather, it released the presentation that ended up being recorded and presented for broadcast. The mention is made because the band also included ‘Midnight Rambler’ in its performance at The Marquee Club, too. It’s just one more example of how Havers’ liner notes add more interest and enjoyment to From The Vault: The Marquee Club Live in 1971. In regards to the additional material included by the people at Eagle Rock, fans learn that the concert itself was a rather intimate performance with only 150 – 200 guests invited to the show. Among the guests in attendance, according to those additional notes, were none other than Eric Clapton and Jimmy page. What’s more fans also learn via the companion booklet that the band used its own mobile recording equipment to capture the concert as well as its then upcoming album Sticky Fingers and later to record Exile on Main Street. That the band used its own recording equipment to capture the concert’s audio is actually a very telling statement. It might not have captured every little nuance of the band’s show, but it definitely did a relatively impressive job of capturing the energy of the band’s show so long ago. There is even more interest added thanks to the original news article printed at the time included in the booklet. Fans that read the article will catch that the band actually recorded not one but two takes of the show. They were recorded simultaneously. That is because the original twenty-eight minute set would air on British television. The longer, fifty-two minute concert would air across Europe. This echoes the presentation that would become Hyde Park 1969 and would also explain why audiences get two takes of ‘I Got The Blues’ and two of ‘B****.’ Or at least it would safe to assume that that would be the reason why those additional takes are included in the recording. All of this information alongside the notes provided by Richard Havers show in full detail just why the companion booklet that comes with From The Vault: The Marquee Club Live in 1971 is just as important to the package in whole as the show’s set list and the varied platforms in which it is presented for audiences. Those varied presentations alongside the concert’s very set list and the in-depth information provided in its companion booklet show together once and for all why From The Vault: The Marquee Club Live in 1971 is not just another impressive addition to Eagle Rock’s “From The Vault” series of recordings but one of this year’s best new live recordings overall.